Kali Spitzer is Kaska Dena from Daylu (Lower Post, British Columbia) on her father’s side and Jewish from Transylvania, Romania on her mother’s side. She is from the Yukon and grew up on the West coast of British Columbia in Canada. 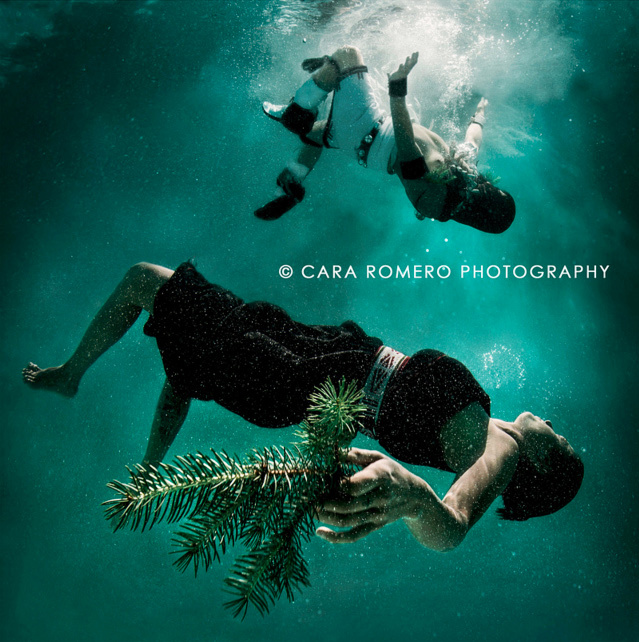 Her work includes portraits, figure studies and photographs of her people, ceremonies and culture. 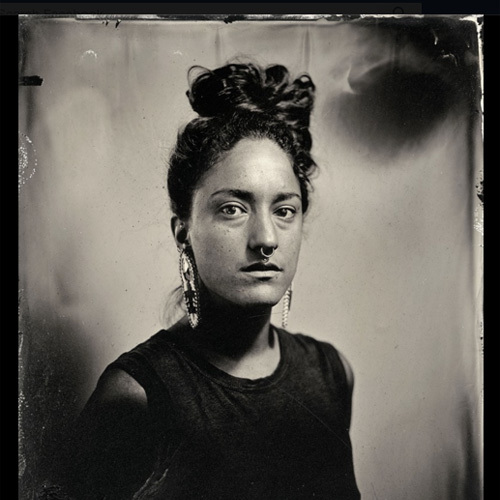 Currently, Kali Spitzer experiments with the wet plate alchemical process of tintype producing magical and magnificent portraits of contemporary Indigenous women who appear as if through an antique mirror. I want to extend my gratitude to all of the people who have allowed me to photograph them in such intimate ways. Mussi Cho. K.S. Previously, at the age of 20, Kali moved back north to spend time with her Elders, and to learn how to hunt, fish, trap, tan moose and caribou hides, and bead. Kali documents these practices with a sense of urgency, highlighting their vital cultural significance. She focuses upon cultural revitalisation through her art whether in the medium of photography, ceramics, tanning hides, or hunting. Ultimately, Kali views all of these practices as art and as part of an exploration of self. Kali Spitzer earned a Diploma in Professional Photography from the Western Academy of Photography. She is currently studying at the Institute of American Indian Arts in Santa Fe, New Mexico and at the Santa Fe Community College. She works with film – 35mm, 120 and large format and has developed a new found love for the wet plate collodion process using an 8×10 camera.